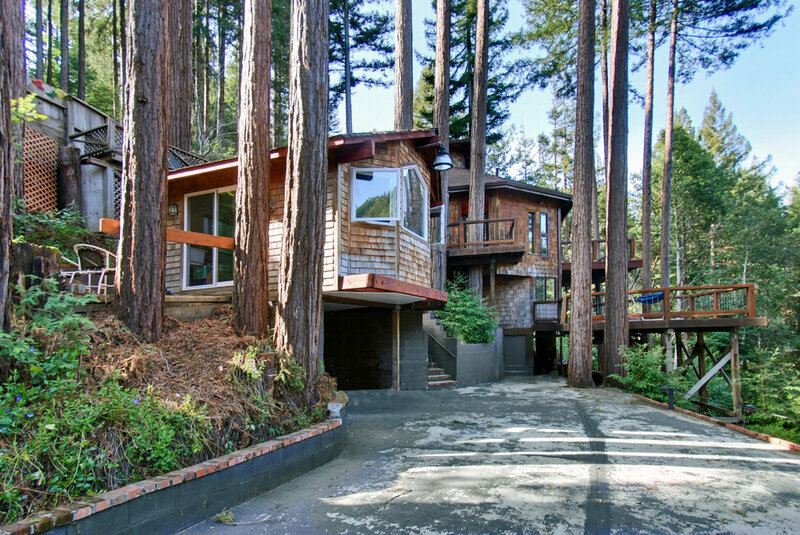 Custom 2BR/1.5BA, 1+acre, private mountain sanctuary reflecting beautiful craftsmanship in a sun-filled storybook setting. 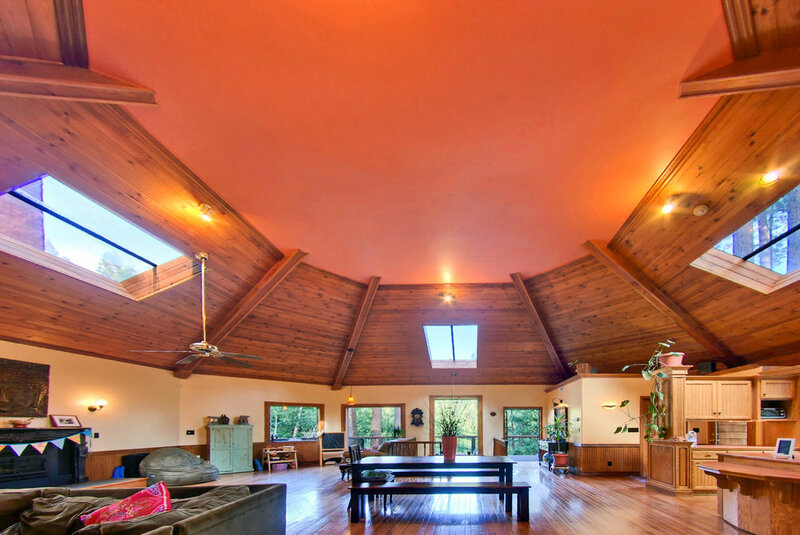 Amazing living/family room with soaring open space and exquisite high dome ceiling. 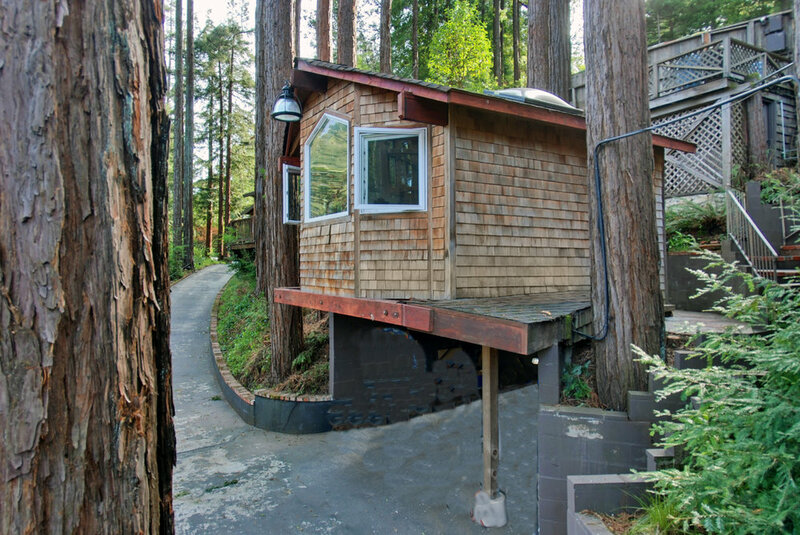 Rich Oak cabinetry and flooring, 3 decks for enjoying the surrounding forest. Not included in the square footage is a separate private guest suite plus a separate artist studio. Plenty of storage inside and out. Backyard stone waterfall, room for vegetable and/or flower gardens, fenced yard. Photos were taken at the time of purchase in 2015.